We recently gave guys a sneak peek at the brains behind menswear line, Odin, and the exclusive collection they created for Target. Now it’s your turn, ladies. There’s no doubt we’ve had our eye on New York shop owners (and best friends) Sarah Easley and Beth Buccini of Kirna Zabête for quite some time. 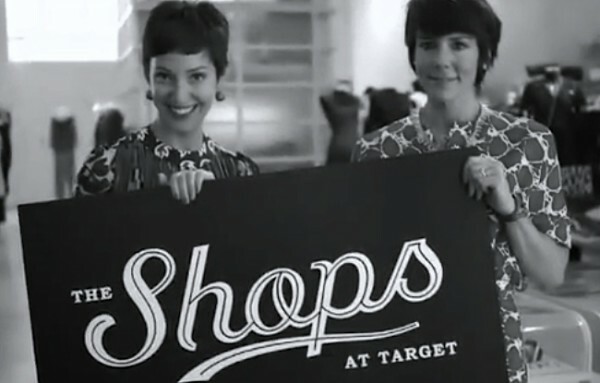 We sought out the duo for all the details about their exclusive line for The Shops at Target. Below, the pair dishes on their beloved shop and upcoming collection, which will make its debut in stores and online at Target.com on September 9. What led you guys to open Kirna Zabête? Sarah: Living in downtown New York in the mid-nineties, we just felt the shopping was not good enough. There was a big opportunity for us to create a store with seriously beautiful, directional fashion in a warm, user-friendly, roll-up-your-sleeves-and-come-in-with-your-dog environment. Beth: We were both working in fashion and 27, and thought we better do something about it! What does your day-to-day look like in your shop? S&B: There is no average day, which is why the job is still so much fun and challenging after all these years. It keeps us on our toes. We both really love both the creative and business side of it too. In one day we could be doing anything from an interview to a buying appointment to a business meeting to a photo shoot. We always wear a million hats. Looking ahead to the Kirna Zabête at Target collection, what are you most excited about? S&B: It’s so exciting to design something cohesive for the first time ever! We can’t wait to wear it all. How do you think the Target guests will be able to elevate their style with your collection? S&B: Our collection is pretty high fashion and editorial—it’s a fashion risk at an affordable price. We’re asking women to stretch their minds, but not their wallets. People can just say, “I’m just going to try out this crazy print trench-coat!” without having to make a huge investment. Were there a few “main ingredients” that you wanted in the collection? S&B: It was really important to us to have a lot of high-quality materials and pieces, like our moto jacket and blue tux blazer. These two items ground the super-feminine, girly prints—we love a contrast of the masculine and the feminine. How was it designing your very first collection? B: It was so much fun, and the entire Target team was exceptional. Sarah and I felt very understood, and the interpretations of our mutual vision were spot-on. S: What’s great about it is that we’ve been around for thirteen years, and we’ve never had the opportunity to be in so many stores or reach so many people. It’s pretty incredible for Target to bring these fantastic local shops from all across America to everybody. How did you guys feel when you saw the collection for the first time? Get a behind-the-scenes look at the exclusive Patch NYC, Odin and The Curiosity Shoppe collections.